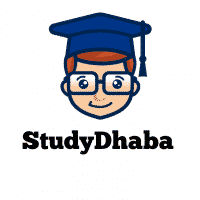 Shankar IAS Paper 1 Answer Key 2017 Pdf – CSAT Paper 1 Answer Key – Hello Friends Welcome to studydhaba.com .Here We are sharing UPSC prelims Answer key from Shankar IAS Academy . In this Post We are Sharing Only GS Paper 1 Answer Key . Shankar IAS Answer key is one of the most authentic answer key for Matching your answers. You will Get an idea About How Much you are scoring in UPSC Prelims 2017 Exam. Which one of the following was a very important seaport in the Kakatiya kingdom? 2-With reference to ‘Global Climate Change Alliance’, which of the following statements is/are correct? It is an initiative of the European Union. It provides technical and financial support to targeted developing countries to integrate climate change into their development policies and budgets. It is coordinated by World Resources Institute (WRI) and World Business Council for Sustainable Development (WBCSD). To Download this Answer Key Click on Download Link Given below – UPSC Paper 1 Answer Key 2017 From Shankar IAS Click Here.